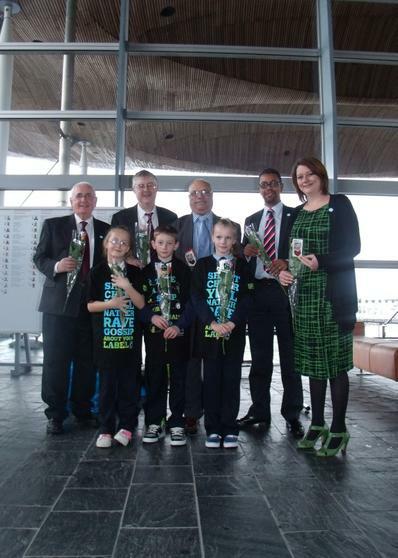 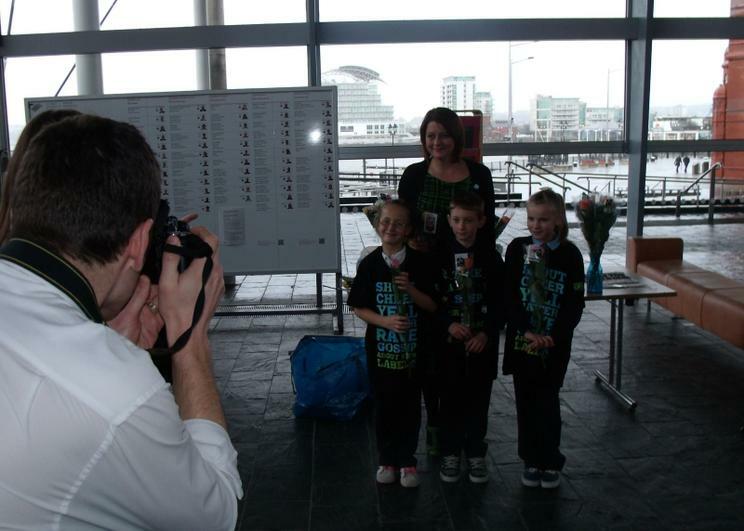 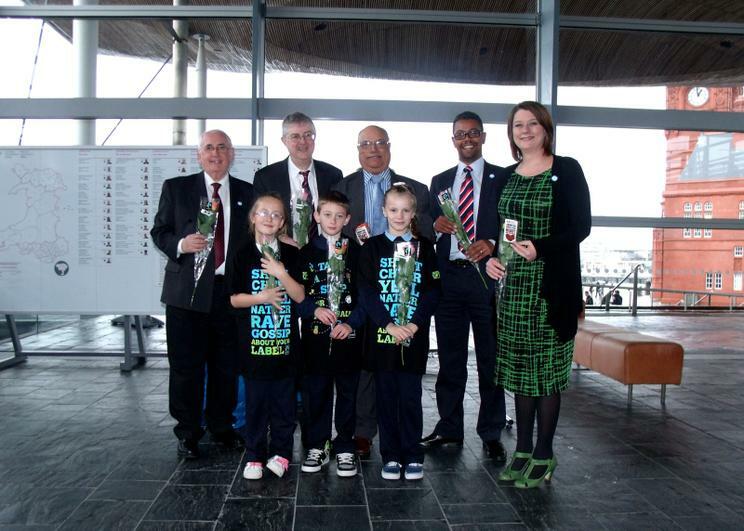 Following theirFairtrade survey on Friday pupils visited the Senedd on Tuesday to give each Assembly Member a Fairtrade rose. 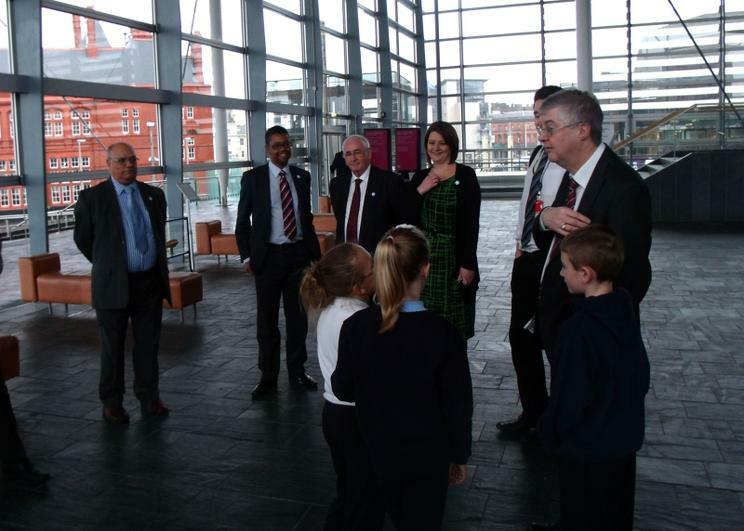 Some of the AMs including our own AM Mark Drakeford, kindly gave up some of their lunch break to meet the children & ask about their St Dwynwens day activity. 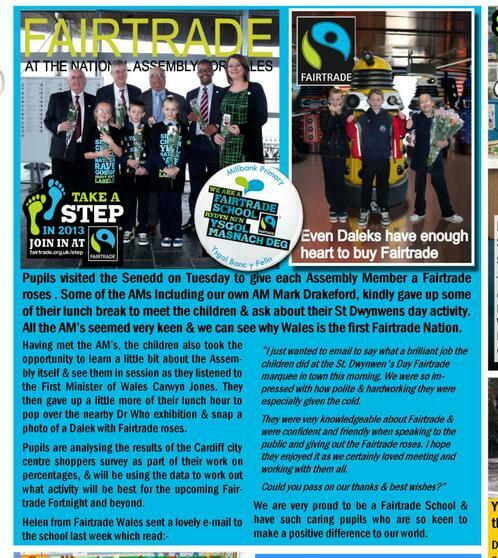 "All the AM’s seemed very keen & we can see why Wales is the first Fairtrade Nation." 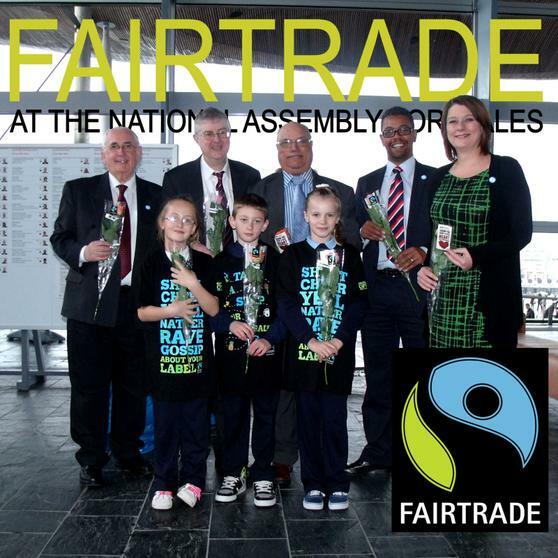 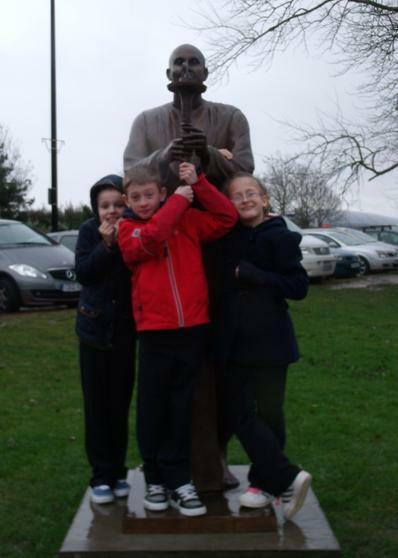 We had asked our local Assembly Member Mark Drakeford, earlier on for any ideas on Fairtrade and he had invited us down; meanwhile Fairtrade Wales who are always very active had contacted the Welsh Assembly and they were keen to support the activity. 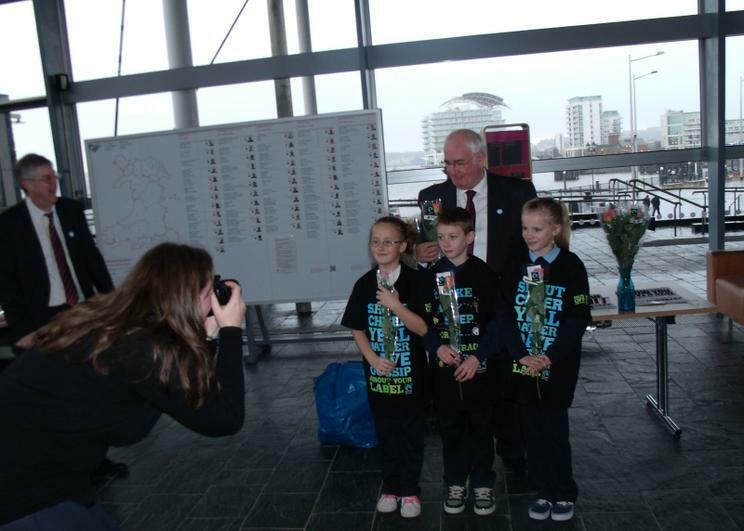 We met lots of interesting people including some members of the Caerphilly youth forum who seemed very active and interested in our views. 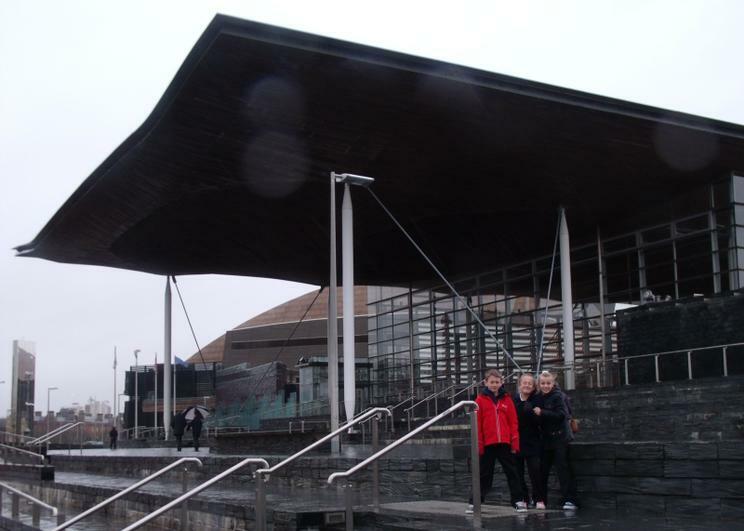 We took the opportunity as the AM's went into session to go into the viewing area and see them debating. 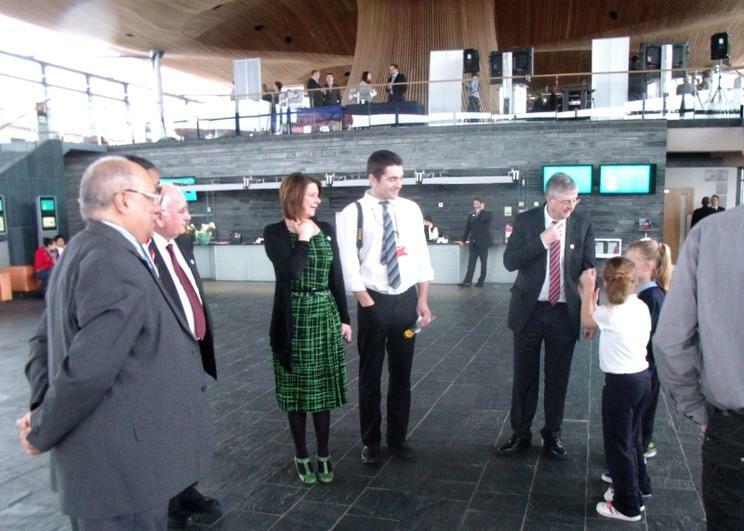 We could see the First Minister Carwyn Jones and the mace next to the Presiding Officer We were given some brochures explaining who was who. 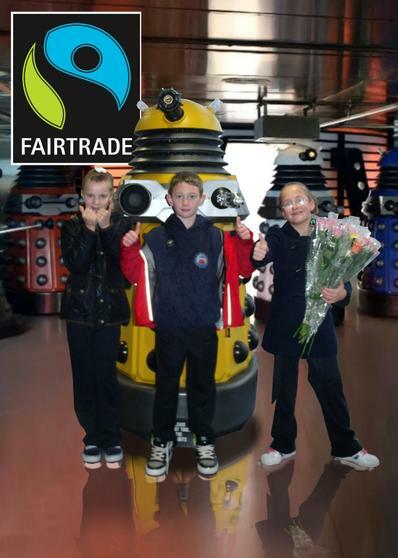 We had given up our lunch hour to visit and before we returned to school we decided to visit the Dr Who exhibition to get a photo of one of the Daleks.